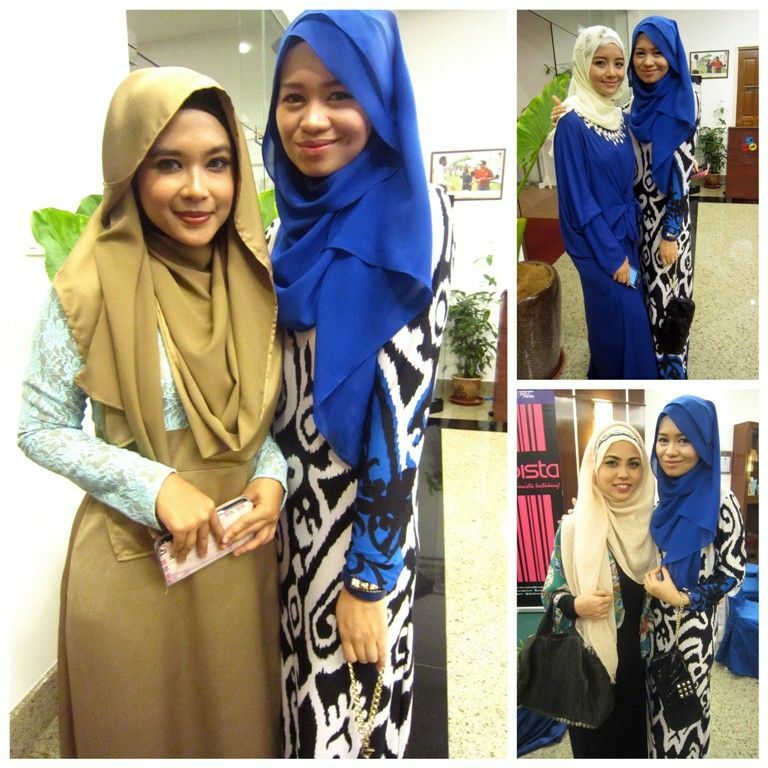 Was honoured to be invited again to Hijabista Magazine's event by the editor of Hijabista Mag, Nursuziana Zulkifli. It was for their Iftar Hijabista at Putrajaya Equestrian Park (PEP). I finally managed to go to their event after having had to turn down invites to all of their previous events due to one reason or the other. This time I went with my cousins so that made it much easier! My mother sent me off to Zara's house then, together with Kak Nadia, we went to pick up Cho Azalea. It was a lovely iftar event and I managed to meet so many hijabistas! The food was so delicious! May God reward the generous souls behind Hijabista and the sponsors to the break fast event. During the event, I was honoured when they actually named me as the "Most Outstanding Hijabista" and received a gift from Denni & Co. I was shocked really. When I went up to the stage, all I could say was "Me? Outstanding?". Erk. And I think I gave the most awkward smile on stage. 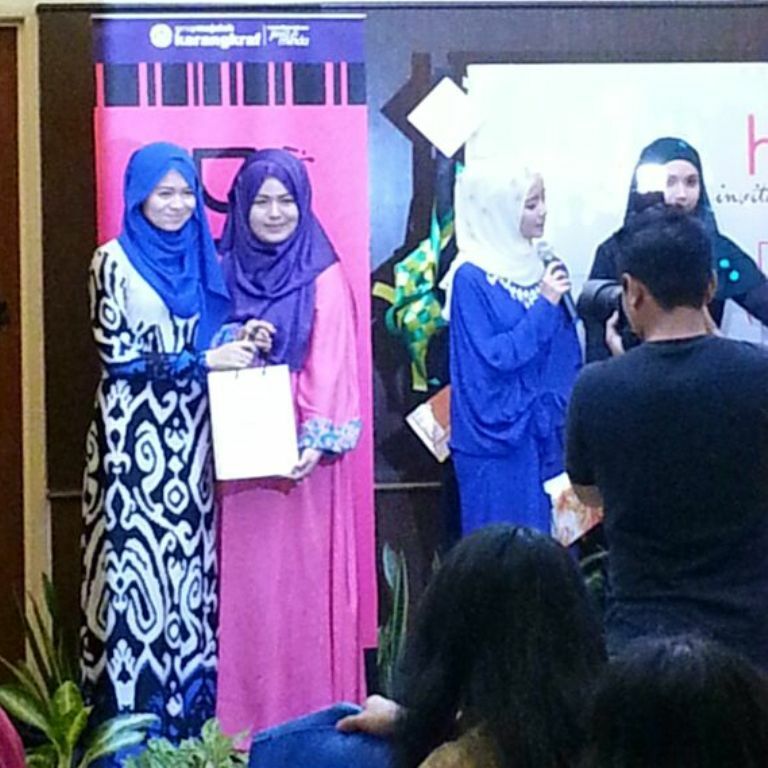 There were so many beautiful and wonderful hijabistas that I didn't think I deserved to be the most outstanding. But I felt honoured and humbled. All praises to the Creator. Alhamdulillah. 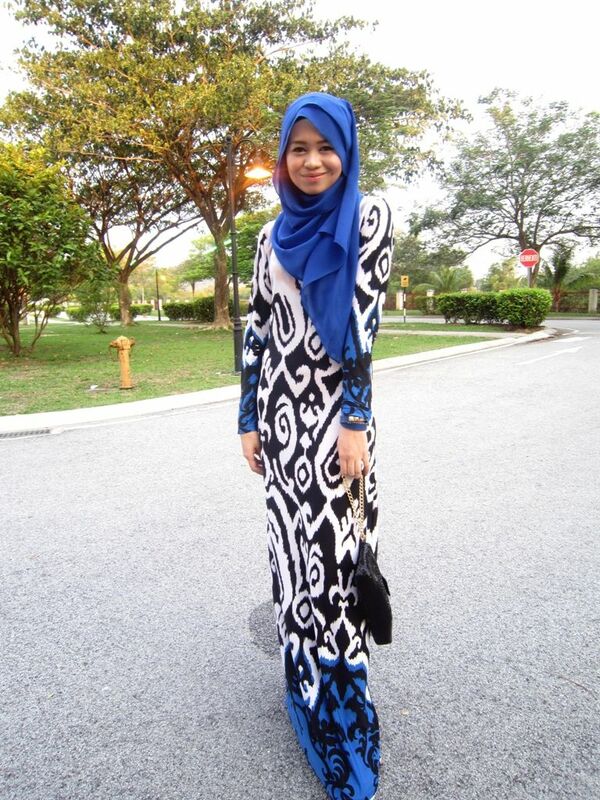 I wore a beatiful dress by Mazlianul Maznan called Pua Kumbu. I love the fabric, the colour, the fit and especially the print. I've been raised by my parents surrounded by art and everything artistic. I have seen a lot of pua, ikat, songket, batik, tekad, limar and other materials or fabrics since I was an adolescent. My parents are in love with antiques or collectibles in all forms and one of it is all types of this kains (traditional fabric or materials). You can check out Hariz Vintage at Publika Solaris Dutamas if you are interested in vintage items, antiques and collectibles. They have almost everything over there. So to see the trend of bringing traditional and ethnicity into modern and contemporary dress is something that I personally can appreciate very much. It is something that I have been waiting for a long while. More pictures of my outfit at the end of this blogpost ya! After the event, we sent Cho Azalea cuzzie to her in-laws and played with my nephew Alriz for awhile. Thank you Alia for the awesome hospitality towards your unexpected guests!!! Hehe. It was a fun night with the star of the show baby Alriz making us all laugh with his antics. On our way to PEP. Nadia Monira and Putri Zaralisa Adril my cuzzies. All wearing Ilovetudung. She's wearing Pu3 Designs cardi and skirt by When Our Eyes Met. 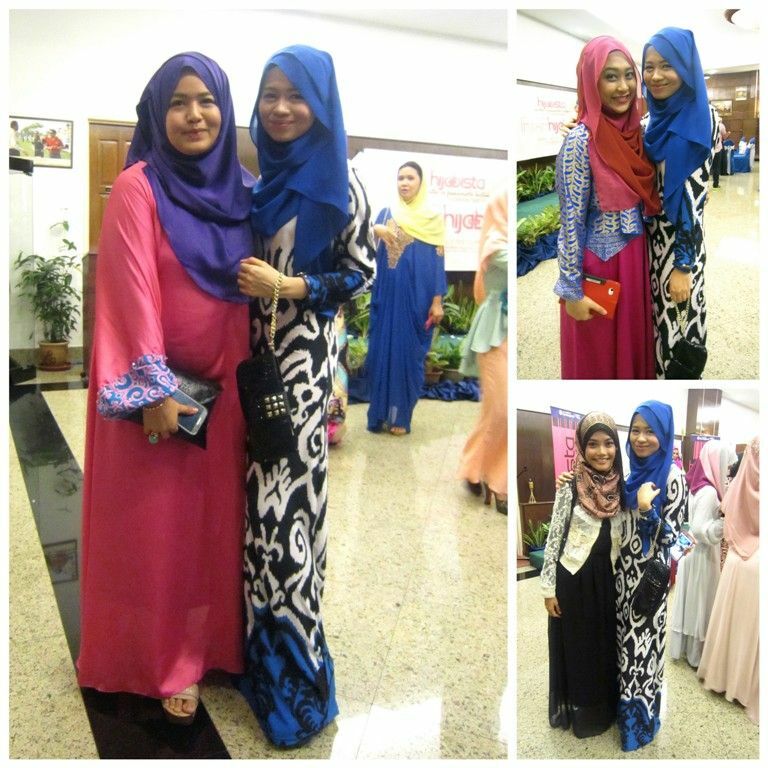 Lovely hijabistas I was privileged to meet. Fatin Suhana the pretty and petite blogger/model/boutique owner whom I first met during my first Hijabista photoshoot in October 2012 when I was 3 months pregnant. 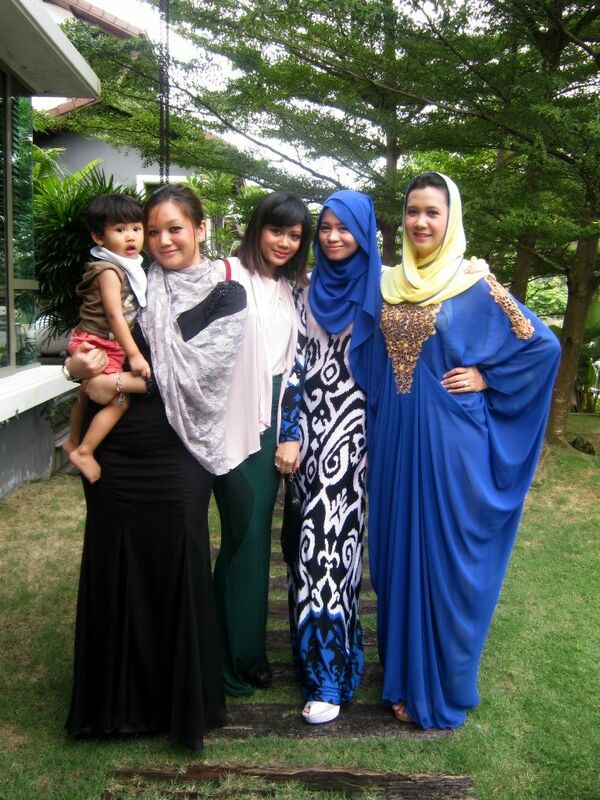 Farhanah Fauzy an old friend / boutique owner who went to the same school as my husband in JB. I think we last met at KM Oli's launching shortly after the husband and I went to Penang to attend her wedding. Now a mother of two MasyaAllah. 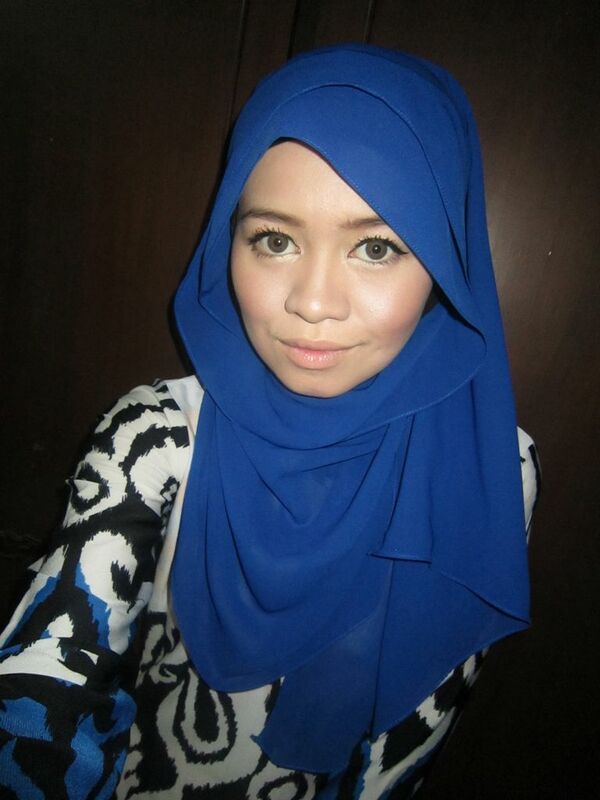 The young and Korean looking Mira Filzah who is the official face of JHijab by Jovian Mandagie. We only got to know each other through IG before this. Stalking each other's accounts, as she puts it. Hehe. 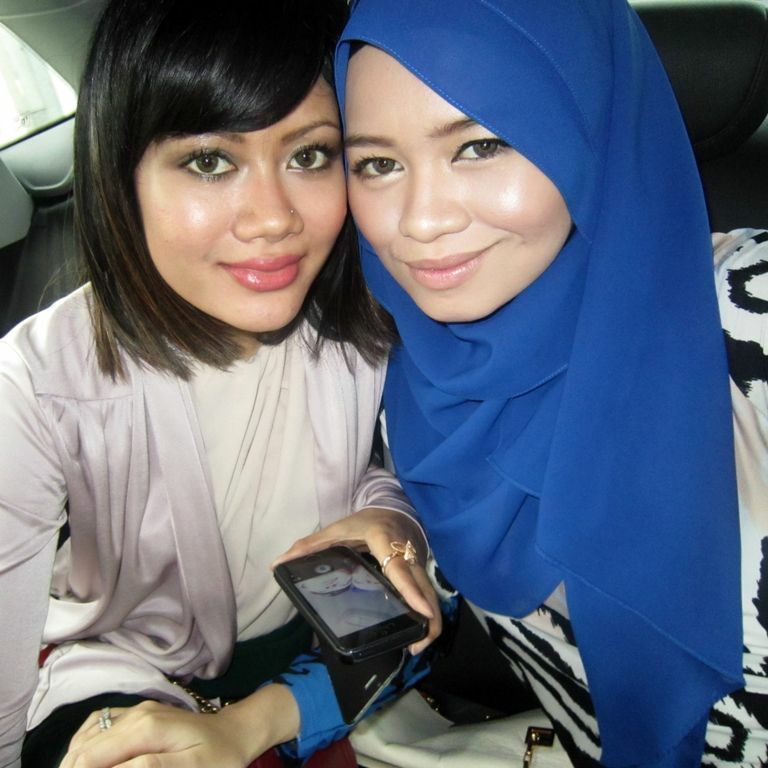 Dayah Bakar TV Host, Songwriter, Boutique Owner whom I first met during KLFW 2013 IFF (People I Met and The show & My Look). Nisa Kay a fellow blogger who is so friendly and super slim! Jezmine Blossom who I didn't get to to take pictures with because when we met we were busy taking food to break fast! (Eventhough it's not a fasting week for me :p). And last but definitely not least Suziana Zulkifli who invited me to the event. Thank you for inviting me again and again! May God reward you for your kindness and generosity. 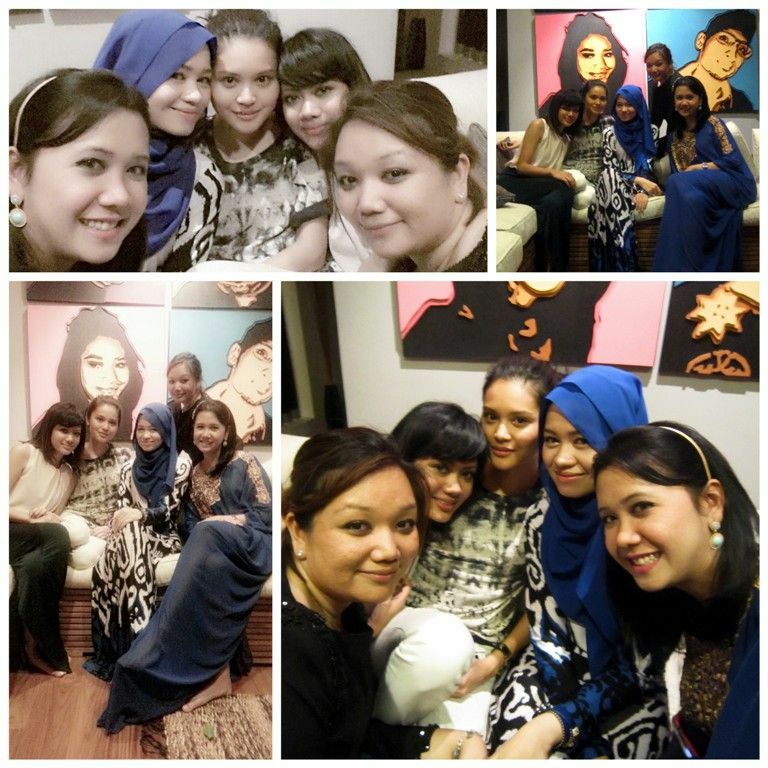 Thank you Kak Nadia Monira for snapping this picture through your phone. Four for the album. At Alia Alizar's awesome artistic house. 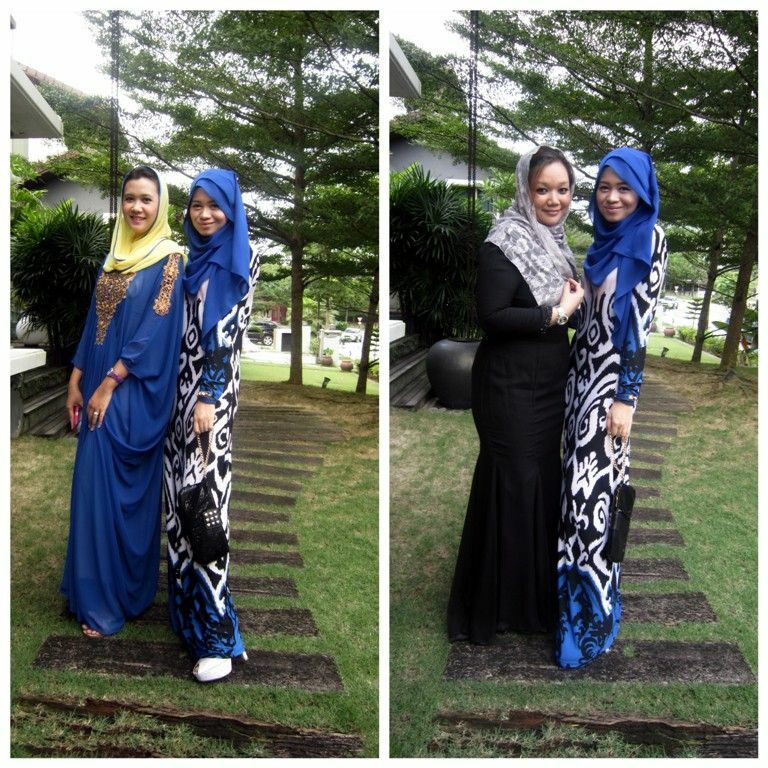 Thank you for the hospitality Alia and Aunty Ila for taking the pix! 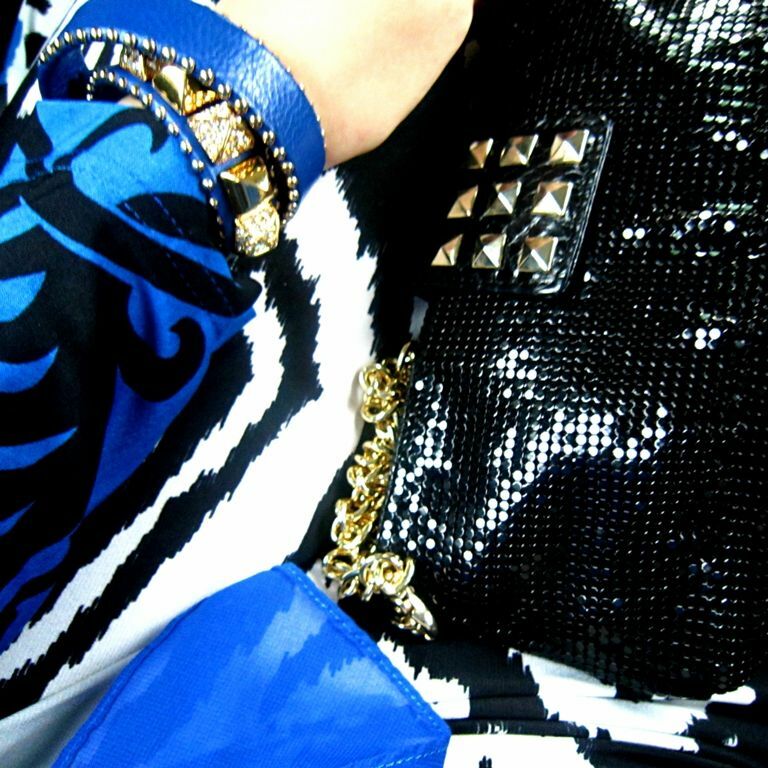 And now for those who are interested to see my look yesterday :) Details of the outfit below!